As at Amroth the 2014 Storms removed large amounts of Sand and revealed patches of clay covered with compressed peat and the remains of trees.... the remains of an ancient forest. As at Amroth Piddocks are boring into the clay , peat and soft wood of the forest. 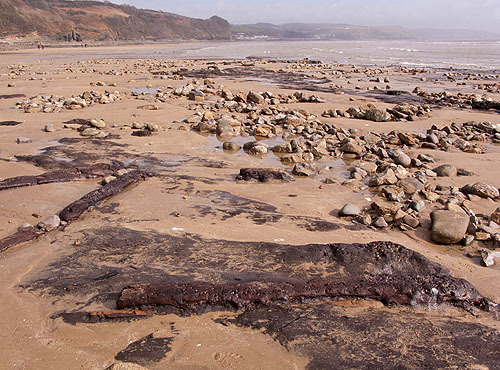 Unlike the forest at Amroth the remains here may only be seen when the sand levels are low.